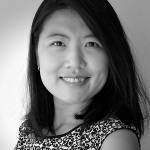 Dr Lulu Zhang is a Senior Research Associate with the Soil and Land-Use Management Unit at UNU-FLORES. She has a background in hydrology and soil science. This led her to be particularly interested in trans- and interdisciplinary research related to soil, water, and land-use management and their cross-sectoral linkages. She has wide and in-depth knowledge of soil and water resources management across multiple spatial scales. She has expertise in evaluating the state of land and water resources and potential environmental and socioeconomic consequences of their uses under global change conditions. She conducts fieldwork and works with models. Prior to joining UNU, Dr Lulu Zhang worked at Technische Universität Dresden (TU Dresden) and was a personal grant holder from the German Federal Ministry of Education and Research (BMBF). While at TU Dresden, she worked in and coordinated several international cooperation projects. She conducted research on the assessment of soil and land-use management in forest and agricultural ecosystems in subtropical and drought-prone areas. These experiences help cultivate her special expertise and interests in land-based and regional specific management of ecosystem and natural resources, particularly in the ecological conservation–vegetation–hydrology interface. Dr Zhang holds a doctorate of natural science from TU Dresden. Her dissertation assessed the effects of land use and climate change on hydrological ecosystem services in a dryland area. Zhang, L., Podlasly, C., Ren, Y., Feger, K.H., Wang, Y., Schwärzel, K. (2014): Separating the effects of changes in land management and climatic conditions on long-term streamflow trends analyzed for a small catchment in the Loess Plateau region, NW China. Hydrological Processes, 28, 1284-1293. Multifunctional Land-Use Systems for Managing the Nexus of Environmental Resources, ed. Zhang, Lulu and Schwärzel, Kai (Cham: Springer International Publishing, 2017). Wolff, M., Zhang, L. (2010): Soil classification in the Naban River Watershed National Nature Reserve. GRIN Publishing GmbH, Munich, ISBN 978-3-640-70013-4. Zhen, Lin, Sheng, Wenping, Wang, Chao and Zhang, Lulu, “Multifunctional Agriculture and the Relationship Between Different Functions” in Multifunctional Land-Use Systems for Managing the Nexus of Environmental Resources ( Cham: Springer International Publishing,2017), 53-67. Zhang, Lulu and Schwärzel, Kai, “Implementation of Multifunctional Land Management: Research Needs” in Multifunctional Land-Use Systems for Managing the Nexus of Environmental Resources ( Cham: Springer International Publishing,2017), 137-148. Zhang, Lulu and Schwärzel, Kai, “Applying Multifunctionality to Address the Challenges and Benefits of Land-Use Management” in Multifunctional Land-Use Systems for Managing the Nexus of Environmental Resources ( Cham: Springer International Publishing,2017), 1-10. Wahren, A., Zhang, L., Feger, K.H. (2010). Assessment of scenario-driven landscape water budget – embedded in a model framework for decision support in land-use planning in mountainous Southwest China. In: Langenberger, G. (eds. ): Land use in the Greater Mekong Subregion – A challenge for Society, Economy and Biodiversity, LILAC Symposium, October 11 – 14, Xishuangbanna, P.R. China, 56. Zhang, L. (2014): Nexus Approaches to Soil, Water and Land-use Management in China. In: Hülsmann, S., Ito, M., Ardakanian, R. (eds. ): Proceedings of International Kick-off Workshop “Advancing a Nexus Approach to the Sustainable Management of Water, Soil and Waste”. Dresden, UNU-FLORES. Zhang, L., Feger K.H., Wang, Y., Schwärzel, K. (2014): Ein Top-down-Ansatz zur Abschätzung des jährlichen Abflusses eines mesoskaligen Einzugsgebietes im Mittellauf des Gelben Flusses. In: Cyffka, B. (Hrsg. ): Beiträge zum Tag der Hydrologie 2014 in Eichstätt, Forum für Hydrologie und Wasserbewirtschaftung, Heft 34.14, Hennef, 261-266.